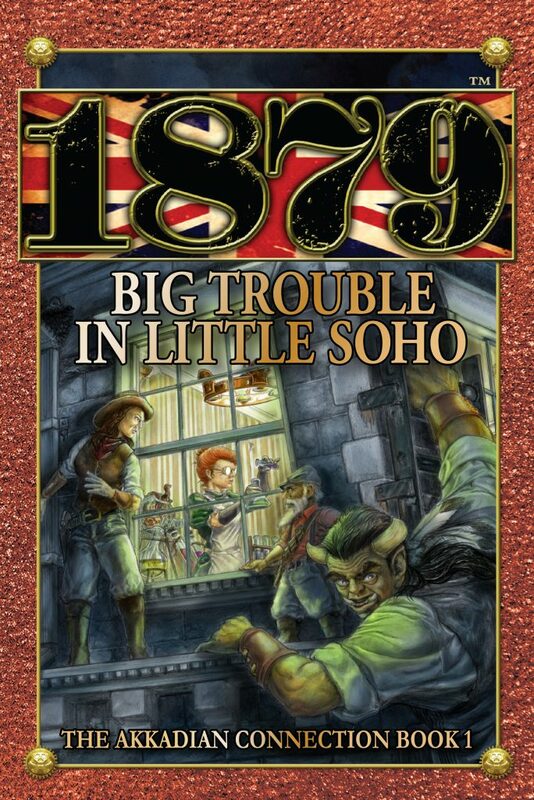 1879 RPG PPC01 Big Trouble in Little Soho – FASA Games, Inc. Someone is making a very dangerous drug in the East End, snuff that grants explosive strength. Of course it’s in the wrong hands. Who’s making it? What are they making it from? Where’s the money going? Why have you been asked to look into it? Best see to your gear, and make sure you’ve got the best team you can assemble. This is trouble the Peelers can’t handle, and it’s likely to lead to some far too interesting places. Intrigue, fist fights, clockwork computers, dangerous chemistry and ancient writings – this one’s got all the makings of a story you won’t be able to tell your grandchildren until it’s declassified! You’ll need the 1879 Player’s Guide and the 1879 GM’s Guide to run this adventure. A copy of London, or The Haunted City, might be useful. 1879 is a roleplaying game set in the late Victorian era of an alternate history, with low-level magic, high-level adventure, and vast possibilities as the Age of Steam gives way to the Age of Electricity. Big Trouble in Little Soho is the first Plot Point Campaign adventure, designed to take beginning characters through their first challenges in the Great Smoke, and give them the experience needed to reach the Novice Tier. This adventure can be run as a standalone or one-off, as the springboard to your own campaign, or as the first in a trilogy that continues with PPC02 Saurids on the Grosvenor Express, taking the party through the Rabbit Hole, into the Grosvenor Land, and deep into Saurid territory, and concludes with PPC03 Deathless on the Nile, sending the party to the Samsut homeland.